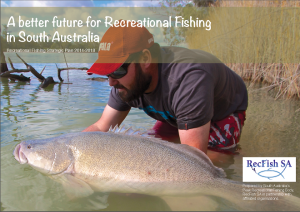 RecFish SA are pleased to share with recreational fishers and the broader community, the release of “A better future for Recreational Fishing in South Australia” – Recreational Fishing Strategic Plan. This forward-looking, aspirational plan was launched by Minister for Fisheries, Leon Bignell at Glenelg on Sunday January 18, 2015. The document emerged as the outcome of a two-day intensive workshop held in Adelaide and attended by representatives from around the state. Attendees included Recreational Fisheries Committee members, fishing clubs & associations, media & fishing tackle industry representatives as well as RecFish SA members and Executives. Following this the plan was developed the Strategic Planning Work Group and a draft was released for public consultation in 2014. It has since been finalised by RecFish SA and work has already begun on developing some of the key actions. One of the positive outcomes which has already developed from the plan, was the drafting of a new constitution to facilitate better engagement and involvement of the recreational fishing community at the grass-roots level. This was approved by the RecFish Council in March 2015. RecFish SA continues to have a membership of fishing clubs, local associations and RFC’s, as well as including affordable individual membership and free affiliate membership. 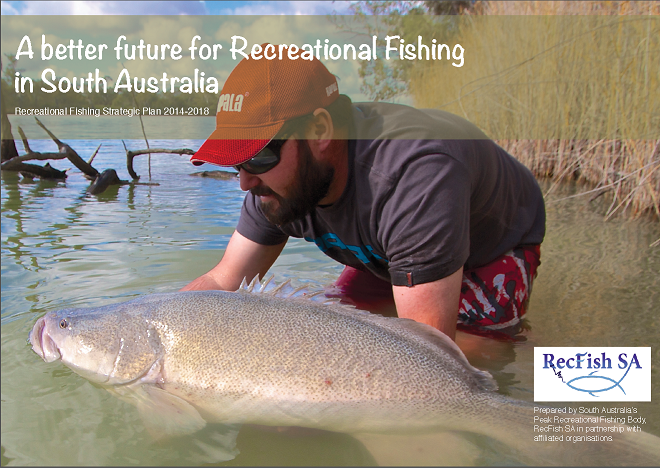 RecFish SA is working constructively to secure a vibrant and sustainably resourced future for recreational fishing in SA and will continue to engage with important new projects including, Murray Cod stocking, a new artificial reef for SA, fishing in reservoirs and the Recreational Fishing Grants program.